Abstracts scheduled for presentation in poster sessions will be grouped by topics, numbered and listed in the program, and published on the GENP 2018 as PDF to serve as proceedings. In addition, program listings will specify time when your colleagues may expect you to be at your assigned space to discuss your work. The poster area will be located near the exhibition area. Your poster must be displayed at your assigned board from November 12, 2018 – 08h00, until November 13 – 18h00. 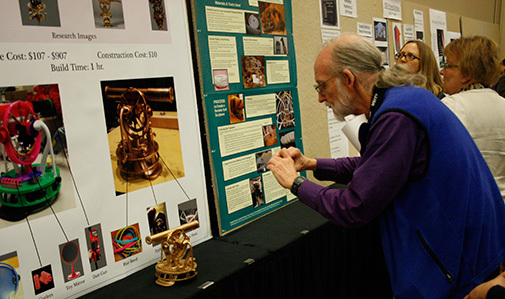 Your presence is absolutely required for guided viewing during poster session. Poster material must be removed no later than a half-hour after the closedown of the congress (November 13 – 18h30.). The poster board’ size is 70 cm wide and 135 cm high. Prepare for the top of your poster space, a label indicating the program number of your abstract, its title and authors. The lettering for this section should be no less than 2,5 cm high. Organize your text in a standard scientific format with the headings ” Introduction “, ” Methods “, ” Results “, and ” Conclusions “. Prepare your data for graphic illustration. Please do not write or draw on the poster boards. Double-sided tape or thumbtacks will be provided. – By facili-tating informal discussions between presenters and their audience, poster sessions provide a more intimate forum for exchange than do regular paper presentations. Ideally, a well-constructed poster will be self-explanatory and free you from answering obvious questions so that you are available to supplement and discuss particular points of interest. Successful poster presentations are those which achieve both coverage and clarity. Have you provided all the obvious information? Will a casual observ-er walk away understanding your major findings after a quick perusal of your materials? Will a more careful reader learn enough to ask informed questions? summary should leave observers focused on a concise statement of your most important findings. At least 50 copies of your complete paper should be available for distribution to interested persons. Copies of your paper and all illustrative materials must be prepared before the convention. Electrical outlets, projection equipment and tape recorders will not be provided in the poster session room.